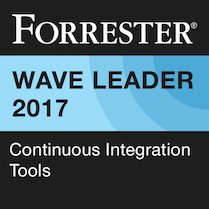 Forrester has evaluated GitLab as a Leader in Continuous Integration in The Forrester Wave™: Continuous Integration Tools, Q3 2017 report. As the report states, “GitLab delivers ease of use, scalability, integration, and innovation.” We see CI/CD as a critical component of our offering, making it quicker and easier to deliver value through automation. 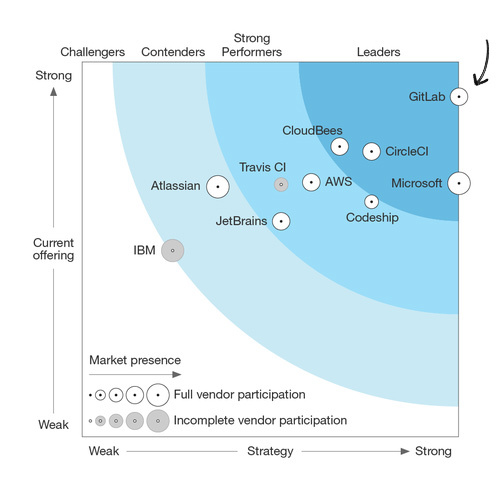 The progress we’ve made in developing a CI/CD solution that’s seamlessly integrated is thanks largely to the participation and feedback of our community and customers.